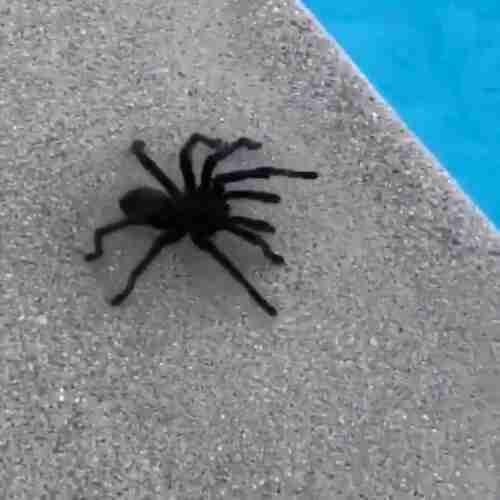 A black, hairy tarantula scurrying across your pool deck is a sight that would make too many people want to run the other way. But earlier this week, actress Nicole Kidman found herself in this very situation — and ended up saving a little life. 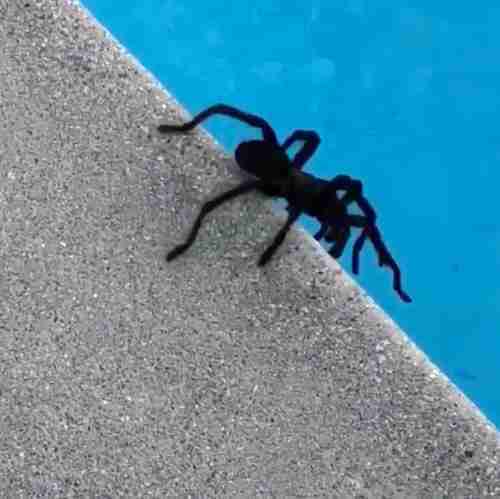 Kidman and her children were out by the pool at their Los Angeles home when they saw the tarantula walking dangerously close to the water’s edge. The kids shrieked at the sight of the spider, but Kidman knew there was nothing to be afraid of. He was about to fall right into the water — so Kidman jumped into action. Without missing a beat, she came to the spider’s rescue, scooping him up between a glass and a plastic Tupperware lid. She took a short video of the spider before setting him loose nearby. “House guest!” Kidman captioned the video on Instagram. “Catch and release … spider released unharmed and healthy." It’s likely the spider wandered onto the deck in search of a mate, as it’s currently mating season for tarantulas in California. Despite their fierce appearance, the 29 wild tarantula species native to the United States are generally harmless. A bite from one will hurt, but it’s not common for their venom to cause dangerous reactions in humans. Thanks to Kidman, this spider’s future just got a whole lot brighter — and it’s likely he’ll find love in no time. 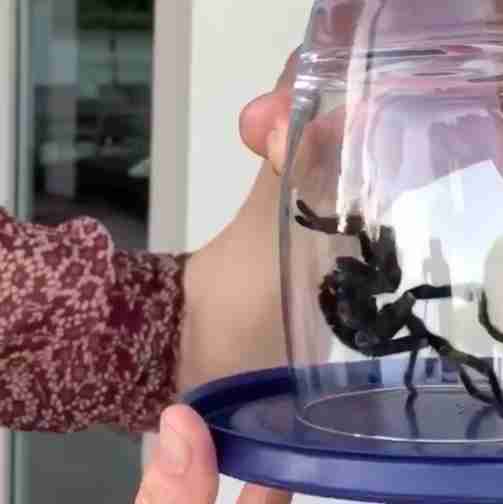 "Nicole has done the right thing, first not to kill the poor, harmless spider, and second, to transfer it safely in a container," Alireza Zamani, who has a Master of Science degree in animal biosystematics from the University of Tehran, told Live Science. "I hope that he is safe and has already found a mate!"